Carlos is an outspoken immigrant rights advocate. Originally from El Salvador, Carlos has lived in the United States since the early 1980s. He spent over two years at the Adelanto Detention Facility and the Theo Lacy Facility in California, where he helped organize a multi-week hunger strike of over 400 people. Since his detention, Carlos has advocated for California's Dignity Not Detention Act, lobbied Congressional representatives like Judy Chu (D-CA) to shine a light on the system, and started a petition with over 20,000 signatures calling on news agencies to use the term "immigrant prisons." Carlos speaks frequently on immigration detention issues, and his work has been featured in major news outlets such as the Los Angeles Times and Rolling Stone Magazine. In 2017, he was featured in Grammy-winning artist Miguel's music video, "Now." Gretta is a proud trans woman who advocates for the rights of immigrants and LGBTQI people. Originally from Mexico, Gretta was held in immigrant prisons in Arizona and California for over 3 years. While detained, Gretta was housed with men and survived physical, sexual, and emotional abuse. In 2016, while detained at the Santa Ana City Jail, Gretta worked with Freedom for Immigrants to file a civil rights complaint against the jail for its unlawful and degrading strip search practices. Gretta now works with the Violence Intervention Program (VIP) in Los Angeles, supporting women and children who also have suffered abuse. She also is an artist and writer, and her story and work have been featured in Vice News, PRI The World, and The Advocate. Sylvester is a business entrepreneur and immigrant rights advocate. 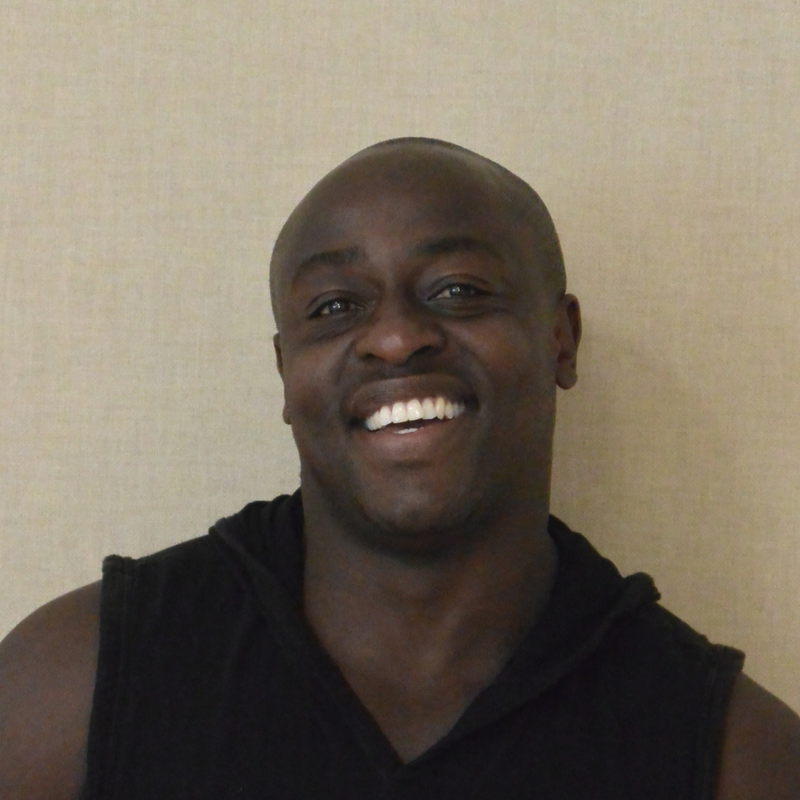 He is the owner of Rafikiz Foodz in San Diego, California. After surviving police torture in Kenya as a young activist, he was held in immigrant prisons in California and Alabama for 9 years and 4 months. While detained, he worked with Freedom for Immigrants to file a multi-individual civil rights complaint against the Etowah County Detention Facility. Sylvester now writes, speaks, and advocates against immigration detention. He has sued CCA/CoreCivic for its forced labor practices, advocated for California's Dignity Not Detention Act, and started a petition with over 20,000 signatures calling on news agencies to use the term "immigrant prisons." Sylvester's story and work have been featured on HBO's Vice and in the Los Angeles Times. In 2017, he was featured in Grammy-winning artist Miguel's music video, "Now." Rosanna is an immigrant rights advocate and warrior for justice. Originally from the Dominican Republic, Rosanna came to the United States at age 9 and became a Lawful Permanent Resident. After decades of living in the United States, she ended up in immigration detention in Pennsylvania for 14 months. While detained, Rosanna survived sexual harassment by a detention guard and retaliatory solitary confinement. In 2017, Rosanna worked with Freedom for Immigrants to file the first nationwide civil rights complaint against U.S. Immigration & Customs Enforcement about widespread sexual assault in immigration detention. Since then, she has worked tirelessly to promote law enforcement accountability, while building a culture of resilience and health for communities most affected by trauma. Rosanna obtained her CMA (Certified Medical Assistant) from Queens Borough Community College in New York. Nancy is a queer Latinx woman who organizes and fights for immigrant justice. Born in Mexico City, Nancy moved to California at the age of 14 in 1991. In 2017, Nancy spent five months detained by ICE in West County Detention Facility in Richmond, California. While in confinement, she penned letters and petitions demanding an end to the county jail’s systemic abuses and degrading conditions that 26 other women successfully signed onto, despite the difficulties of internal organizing due to the facility’s structure and lengthy in-cell times. These texts denounce not only the jail’s injustices but also those inherent to immigration detention more generally. Her powerful words were reproduced extensively in newspaper articles and other media, which resulted in elected officials calling for state and federal investigations into the jail’s conditions and demanding an end to the county's contract with ICE. After months of enduring homophobic harassment from guards, retaliations for her activism, and threats of transfer to rural facilities, Nancy won her freedom. She is now once again enjoying her professional career as a make-up artist and hair stylist in southern California, and continues to speak out about the lasting traumatic effects of ICE detention on the mental and emotional wellbeing of those directly affected and their families. Eddy Zheng is the Co-Director of Asian Prisoner Support Committee, a nonprofit that provides support to Asian and Pacific Islander prisoners in California and raises awareness about the impact of incarceration and deportation on communities. Eddy immigrated to the United States from China at age 12 on a green card. When he was 16, he was arrested and tried as an adult for kidnapping to commit robbery. After spending time in the California Youth Authority, he was transferred to San Quentin State Prison and became the youngest person imprisoned there. While in prison, Eddy learned English, earned his college degree, and published his poetry. When he was released, he was transferred into ICE custody and detained at the Yuba County Jail. He was eventually pardoned by Gov. Jerry Brown, and he has become a nationally recognized leader — inspiring youth, activists, and politicians on issues of prison and immigration detention reform and youth violence prevention. In 2016, he was featured in an award-winning documentary, "Breathin': The Eddy Zheng Story" and in 2017, he was featured in Grammy-winning artist Miguel's music video, "Now." Douglas Menjivar is an immigrants rights’ activist originally from El Salvador. As a child, he grew up in extreme poverty, which worsened after several earthquakes in his home country. He moved to the U.S. in 2004. He temporarily returned home in 2010 to take care of his ailing stepfather, but was forced to flee for his life due to gang persecution. Upon his return to the U.S., Douglas was detained at the Joe Corley Detention Center in Texas, where he was sexually assaulted. Refusing to be silenced by the threats to his family’s lives made by his assailants, Douglas reported the incident to ICE officials. Instead of providing support or releasing him for his protection, ICE ridiculed him and ignored his pleas for medical attention. As a result, Douglas participated in a hunger strike to bring attention to this injustice and the inhumane conditions of the facility. In retaliation for his activism, ICE transferred Douglas to another detention center. Despite their best efforts to deport and silence him, Douglas eventually won his release and helped Freedom for Immigrants to file the first nationwide civil rights complaint about sexual abuse in ICE detention. Now, he continues to speak out about his trauma as a political act of resistance and solidarity, helping others to overcome the shame and loneliness that can be the consequence of state-sanctioned torture.